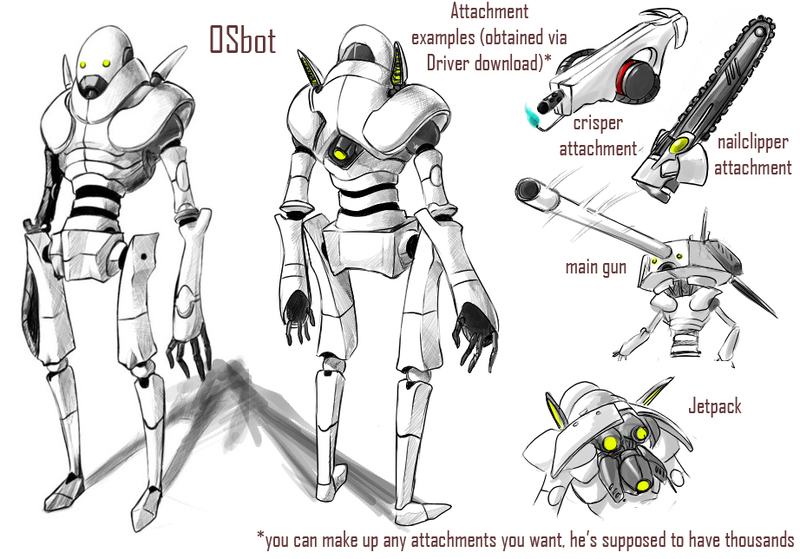 Osbot is a killer robot that has been slumbering under void city for who knows how long. He was recently reactivated, the person who did it, however, could not understand the interface in his programming so he formatted him and installed windows instead. Then, to test its capabilities and fly under the VCPDs radar, it fed the bot the list of SDT participants as a hitlist. While running in an incompatible system, its is understandable that the bot was buggy, however, the system being Windows, the bot is now extremely buggy, it communicates via the use of windows-esque messages, it randomly resets, bluescreens, its glitchy and prone to erasing random files (a.k.a body parts) on whoever is close-by. As for his powers/abilities, he's currently only very strong (though not very fast) and extremely resistant. 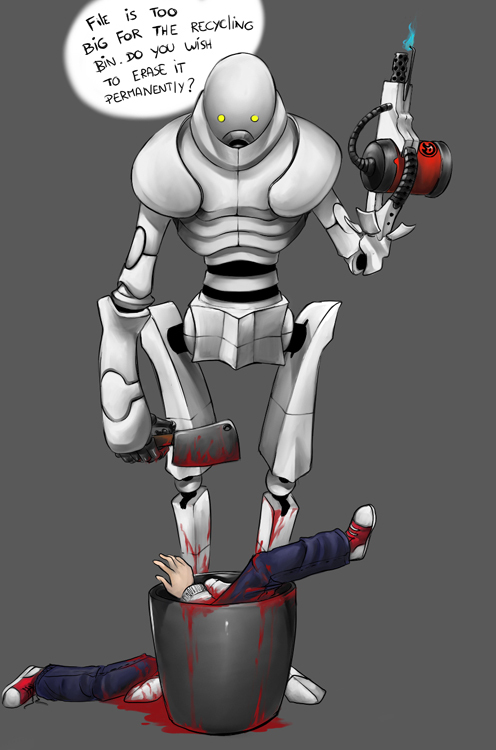 Whoever built the bot originally had a lot of knowledge about dimensional technology (a.k.a hammerspace) and equipped the bot with the full assortment of necessary tools of the trade for killer bots. Unfortunately the bot doesn't have the necessary "drivers" on his current OS to deploy this equipment, but he can download it by touching other machines. (Say, touching a tank might grant him the driver he needs to deploy its main gun, and so on).